South Asian football powerhouse India secured an impressive 2-0 win over Asian neighbours Nepal in an international friendly played out at Andheri Sports Complex in Mumbaion Tuesday. 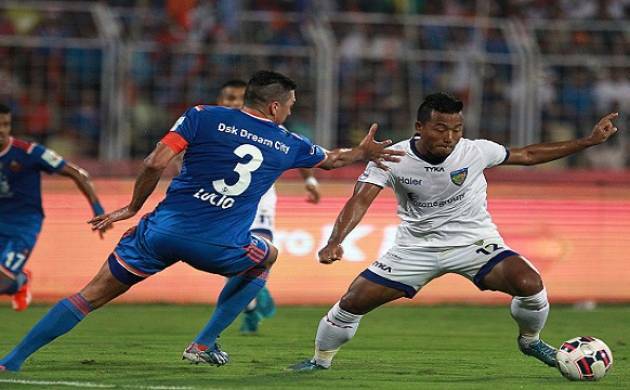 India continued to maintain its stranglehold on the Himalayan Kingdom in football. India's victory came at the back of second half strikes from Sandesh Jhingan and Jeje Lalpekhlua. Jhingan gave the Blue Tigers the lead in the in the 60th minute finding the back of the net with a well-timed volley. Lalpekhlua then doubled the lead in the 78th minute by slotting a pass from Mohammad Rafique from the left past the Nepal goalkeeper to seal the game in India's favour. The win shall boost Indian team's confidence ahead of their clash against the Kyrgyz Republic in the AFC Asian Cup Qualifier in Bengaluru next week.